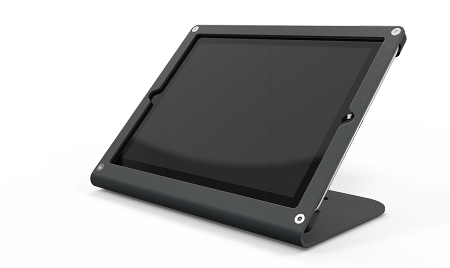 The WindFall C by Heckler Design is the cost efficient, secure stand that will work perfectly with the Square card reader, cash drawer and an LAN –connected printer. 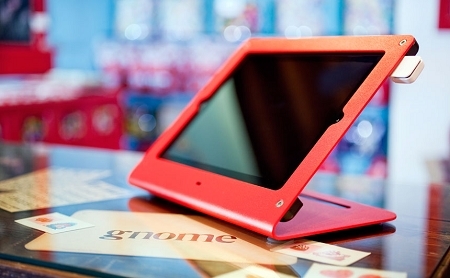 This sturdy steel design features a scratch-resistant powder coating that comes in 7 stocked colors; perfect to match any business’ color motif. Customized colors are available as well. 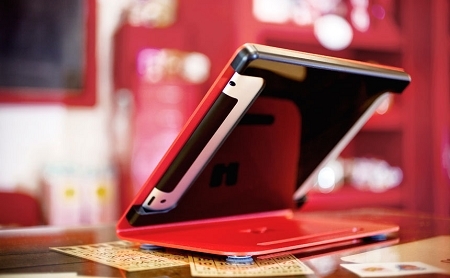 The WindFall C is not just a sleek stand with a small footprint; it provides maximum security for your iPad. The iPad is mounted to the WindFall via (4) tamper-resistant security screws. That means, potential theives can’t simply reach into the stand and pull out your iPad. Other accessories that are compatible with the WindFall C include the PivotTable, PivotTack and the Kensington clicksafe cable lock. This unit comes with an integrated the Kensington security lock slot, if you want to add a security cable for peace of mind. 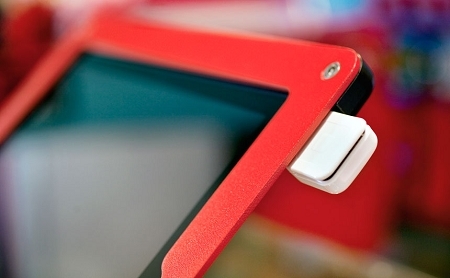 The PivotTack would be used to lock the WindFall into a surface, and provide 360 degrees of movement, so you can easily show the customer their total during checkout. The PivotTable would be used to provide the same 360 degrees of movement without locking down the WindFall to the countertop.